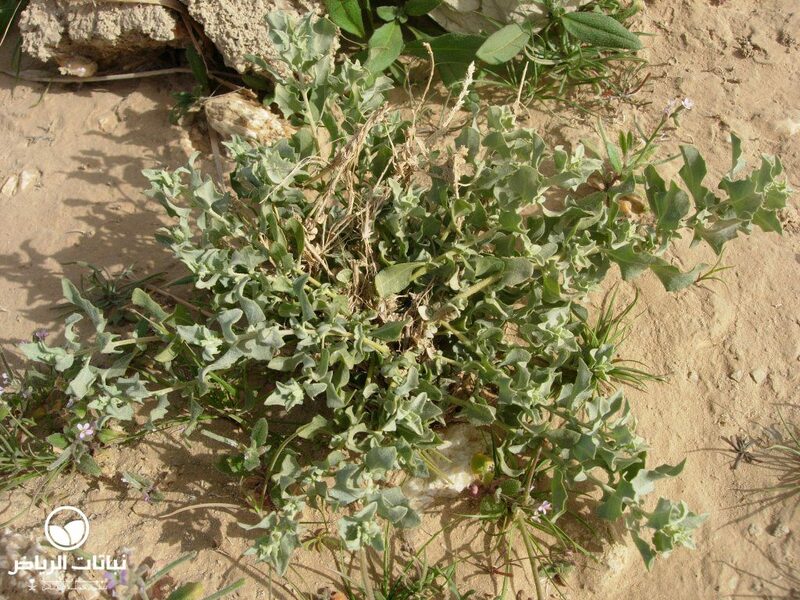 There are some ten species of Atriplex growing presently in Saudi Arabia: seven are native (Atriplex coriacea, A. dimorphostegia, A. farinosa, A. glauca, A. halimus, A. leucoclada and A. tatarica), and three have been introduced and cultivated (A. canescens, A. semibaccata and A. suberecta). 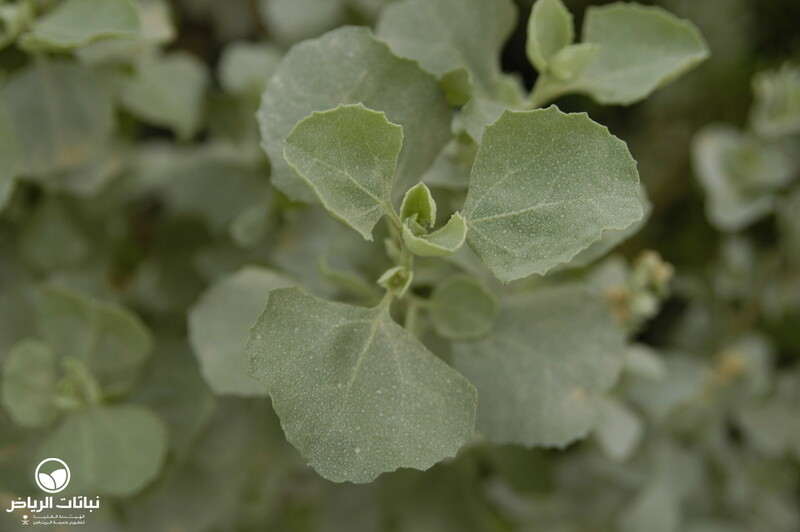 Atriplex is a halophytic plant which has developed various strategies to adapt to saline environments with excessively high salt content in the soil. 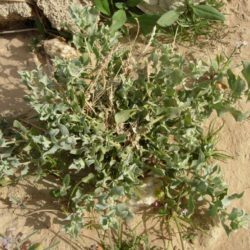 Originating in the Mediterranean basin, A. leucoclada, known in Arabic as raghal, is a low perennial shrub with upright grey stems and triangular leaves and densely clustered, bell-shaped flowers and fruits, which appear on spikes in spring. The shrub grows in many different habitats, but it usually occurs on sabkah, coastal and inland salt marshes with a high accumulation of salts, and occasionally on silty soils. Frost-tolerant with a medium growth rate, the species is polymorphic, meaning that the shape and size of its leaves may vary according to season and habitat. A. leucoclada is an important species for agricultural use in arid regions. 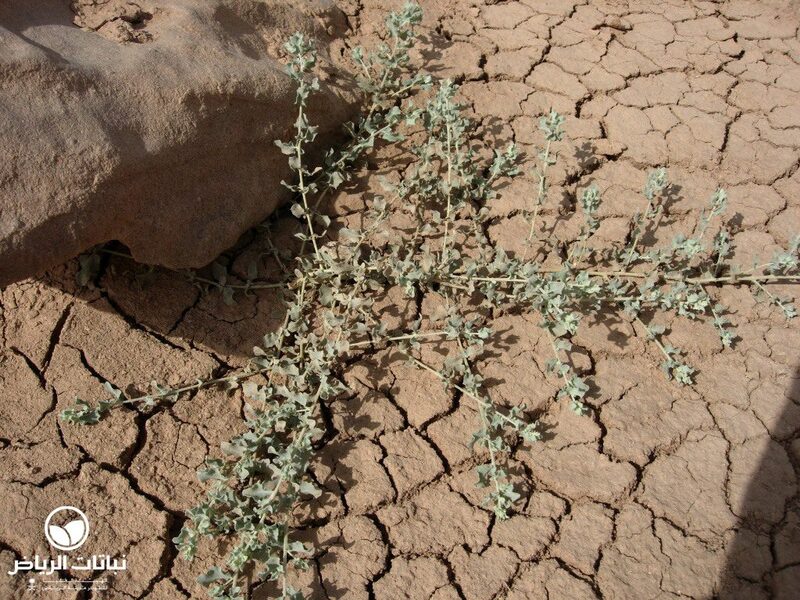 Atriplex species can be planted for soil desalination, and CO2 sequestration. 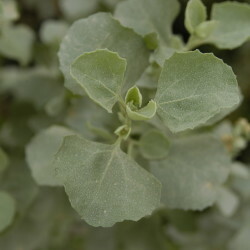 Studies have shown that Atriplex is able to survive sodium chloride salinity up to more than 100% of seawater salinity, indicating that A. leucoclada can be grown productively at moderate salinity. 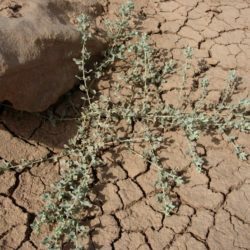 It is a useful plant for desert and extensive landscape schemes as a groundcover, occasionally requiring watering and maintenance to improve its appearance.